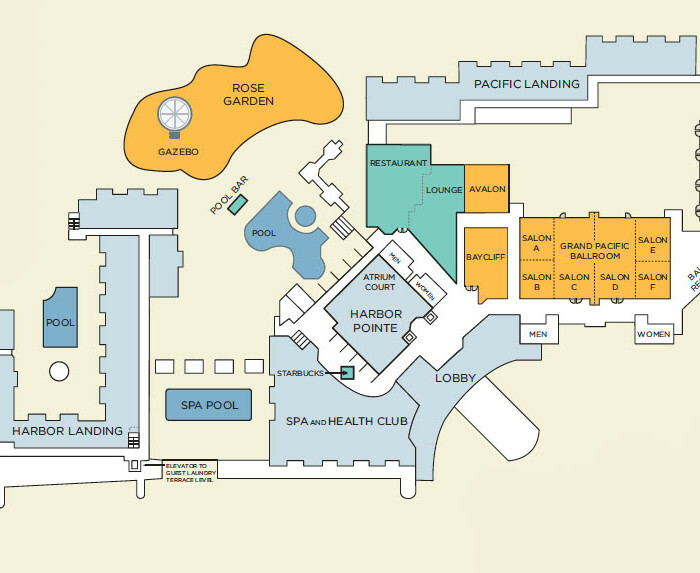 Surround yourself in luxury at Newport Beach Marriott Hotel & Spa. 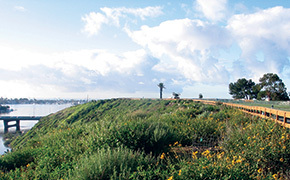 Enjoy easy access to California’s most pristine beaches, popular attractions such as Upper Newport Bay Nature Preserve and Balboa Island, and premier shopping and dining at Fashion Island. Slumber in style in our Newport Beach hotel’s spacious guest rooms and suites featuring sweeping Pacific Ocean views, chic décor and expansive marble bathrooms. 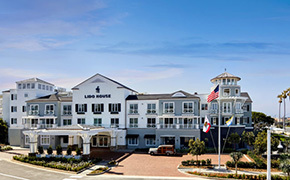 Our unique Newport Beach conference venues are ideal for meetings and unforgettable weddings. Treat yourself at Pure Blu, our full-service spa offering private cabanas, an outdoor pool and state-of-the-art fitness center. 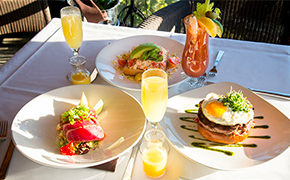 Savor exquisite evening dining at Hook & Spear which serves innovative, sustainably caught cuisine or enjoy one of their many delicious dishes for breakfast and lunch while taking in the coastal views on the outdoor terrace. Indulge in a specialty beverage and fresh pastry from our Starbucks. 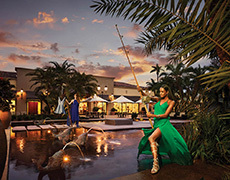 Experience the authentic SoCal lifestyle at Newport Beach Marriott Hotel & Spa. Outdoor venues bask in vast space and peaceful privacy at this hotel with a spa, steakhouse and lounge. Before you head to the Grand Pacific Ballroom, q wrought-iron gazebo or traditional wood-shingled gazebo is your ceremony backdrop, each with a vantage point over the ocean. 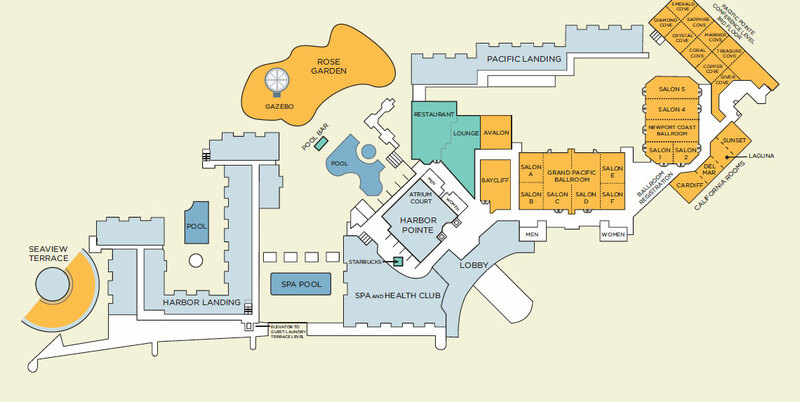 Newport Beach Marriott Hotel & Spa boasts stylish guest rooms — most with ocean and golf course views — and is ideally situated in the heart of Newport Center, within a stone’s throw of the finest shopping, dining, and entertainment that Southern California has to offer. 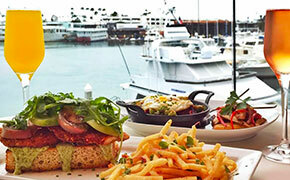 In addition to its unparalleled, highly flexible 41,000 square feet of indoor and open-air meeting space offerings and its appealing on-site catering and eateries, Newport Beach Marriott Hotel & Spa is directly adjacent to renowned Fashion Island, an outdoor shopping and dining experience with more than 125 top boutiques, award winning restaurants and casual alfresco cafes, and crowd-pleasing nightlife. Guests also will want to take advantage of the on-site Pure Blu Spa, one of the region’s most acclaimed spas with its ultra-indulgent, luxe environment and full range of pampering treatments.